On October 23, 2018, Soulpepper welcomed a crowd of over 300 guests at its annual gala. Co-chaired by Raj Kothari and Maureen Dodig, Signature Soulpepper celebrated the Company’s work and its dynamic creative ensemble. The highlight of the evening was a performance with music, drama and narrative led by some of Soulpepper’s many talented artists. The event was a huge success, showcasing Soulpepper’s resiliency and enthusiastic spirit. We are thrilled to report that over $560,000 was raised – surpassing the goal for the night. All proceeds will go towards supporting Soulpepper activities on-stage and off-stage. For example, two important programs highlighted during the evening; Soulpepper’s Culturelink Newcomers Welcome Program, and Soulpepper’s Youth Outreach Programs will benefit from the generosity demonstrated at this year’s Signature Soulpepper. 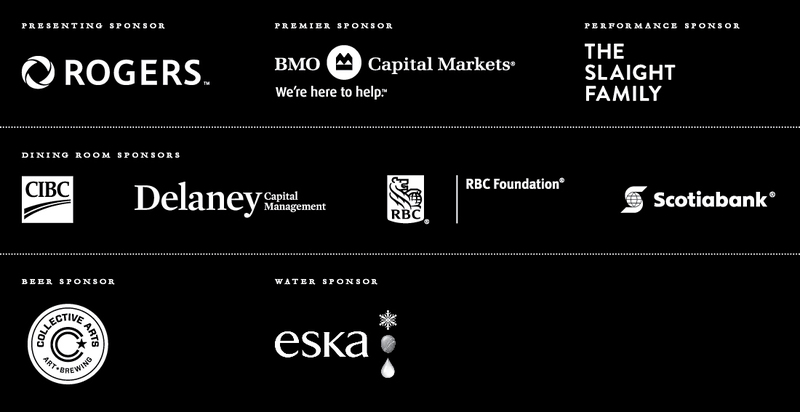 Our immense gratitude to the committed Signature Soulpepper sponsors, table hosts, donors, guests, staff and artists who made it all possible!